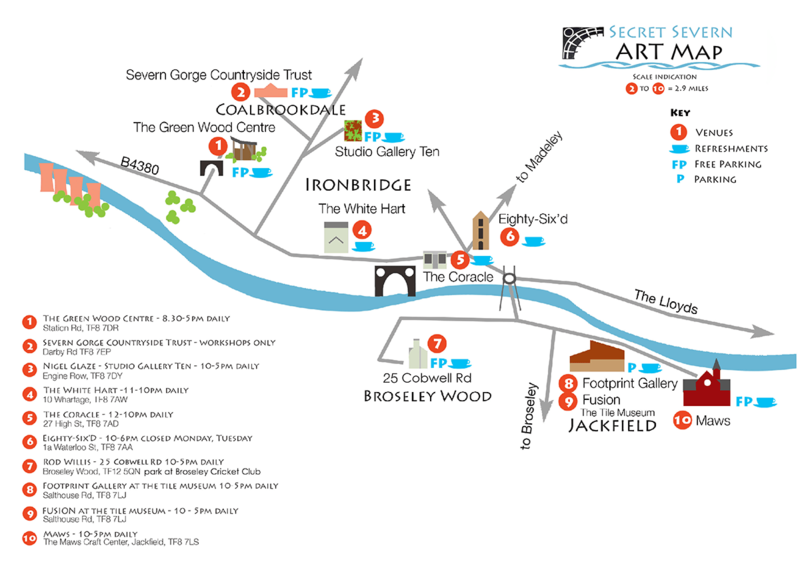 The Secret Severn Art Weekend has turned into a 10 day Art Trail, starting this coming Friday 8 September. 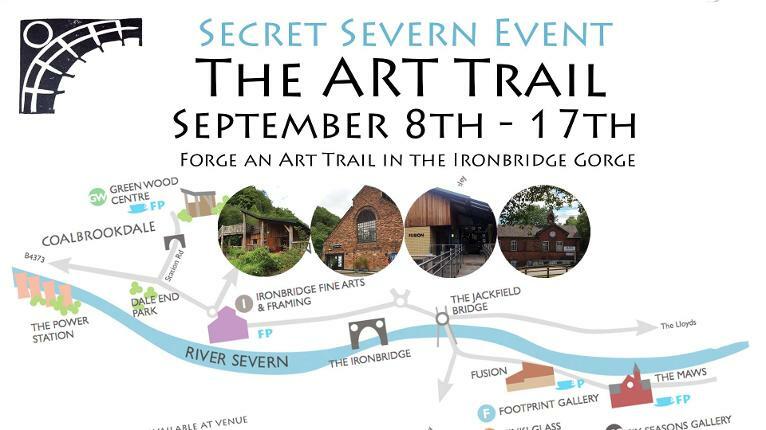 The second Secret Severn Art Weekend took place this last weekend, even bigger and better than the first! 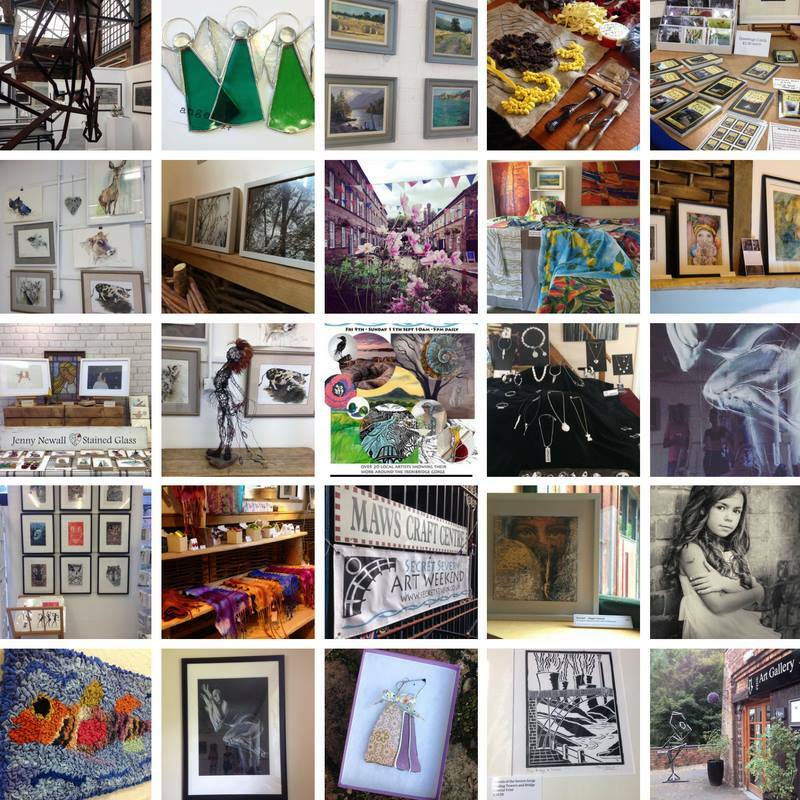 Over 30 artists took part and showed their work in studios, displays and exhibitions in venues across the Ironbridge Gorge. Visitors could also get involved in making art during several workshops. The Maws courtyard look very atmospheric last night during our gift buying evening. Many shops, studios and the tearoom stayed open late for visitors to enjoy relaxed browsing for presents whilst having a festive drink and a nibble. Other local artists and makers joined us displaying their wares and Einat from Balanceo brought her fabulous collection of dancing and evening shoes for a pop-up shop in the Maws company office. 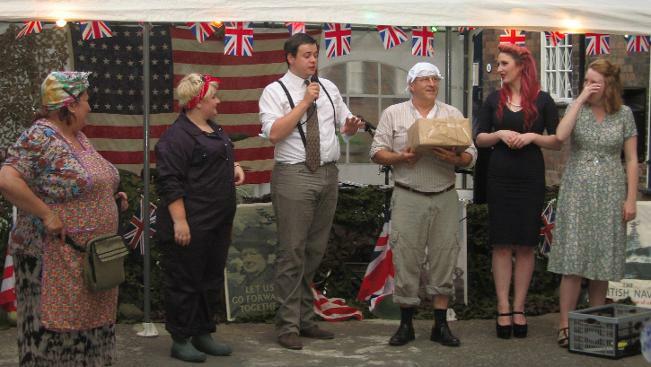 The bottle auction and ration book raffle at our Glen Miller concert & 1940's evening in July raised a total of £420 for the Poppy Appeal and during Heritage Day on 24 September £ 137 was collected for West Midlands Air Ambulance. Many thanks to the fundraisers and visitors who donated! Resident crafter and needlewoman Janet French has been on the telly! 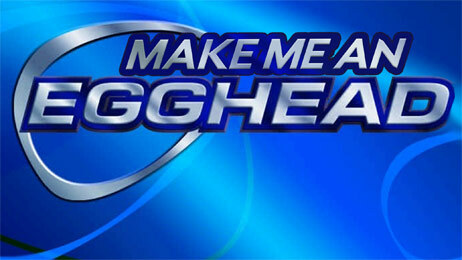 Janet and her group "The Stitchers" took on the Eggheads in the popular series on BBC2. The programme was broadcast on 19 May and is presently still available to view on BBC iplayer, episode 58. New studio opening Good Friday 25 March! 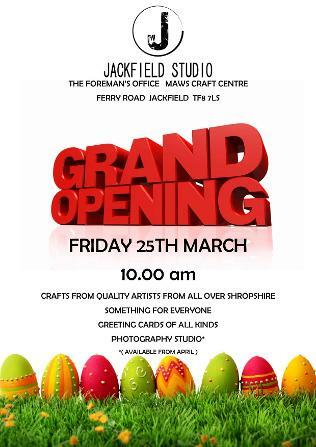 The Jackfield Studio has their grand opening at 10am. Stephen and Lene Davis' new premises at the Foreman's Office will feature quality crafts from Shropshire artists, a photographic studio and a good choice of greeting cards. 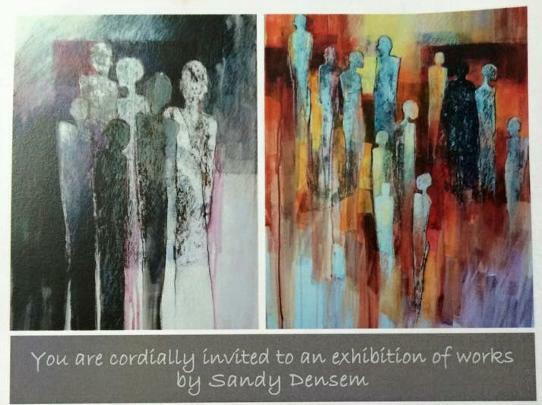 Artist Sandy Densem opened the doors to her new studio at Unit B1 tonight for a private view of her exhibition this coming weekend. Art shown are all recent paintings, drawings and mixed media works and 15% of sales will go to the RDA Cavalier Centre, Shropshire. The exhibition is open for visitors 13 to 15 November from 10am to 4pm. The resident Maws businesses tried a new initiative yesterday - a Christmas Sale Shopping Day. This was different from events such as fairs, markets, concerts, festivals as it was just the Maws shops and studios opening on a Sunday without any extra attractions in the courtyard. The residents wanted to try and see whether visitors would come to just see them and they did! So thank you to the Sales Day organisers for their ideas and arranging the day - a January Sales Day might be next, please watch not this space but the Events page for further developments. New tearoom opened this morning! After only a few days of refurbishment works the tearoom at Maws has been reopened. Georja Broadhurst and her dedicated team of family & friends worked long long hours to achieve an amazing transformation. The result is absolutely stunning - come and see the Maws Vintage Tearoom for yourself!! Engineers working on the Jackfield Stabilisation Project will tomorrow (FRI 4 SEP) open the new road through the site to traffic. However, what opens tomorrow will not be the finished version of the new carriageway as more work will be done on it in a few weeks time. Residents and visitors have been using a temporary track through the site to access the far end of Jackfield during the past few months but that track will now close. Councillor Richard Overton, Telford & Wrekin Council’s deputy leader and cabinet member for land stability, said: “It is a hugely positive step that the new road will open to traffic some time during the course of Friday. The Jackfield Stabilisation Project is a two year project to stabilise land movement on the southern bank of the River Severn by inserting reinforced concrete piles into the hillside. It has a budget of £17.6m including a council contribution of £5.6m. The work is nearly complete and only 70 piles out of 2,300 remain to be installed. Scarlett's Café closed its doors today as Gabrielle is going to concentrate on her skincare business Hussey Skincare, located at Unit B26. Hopefully the craft centre will not be without catering too long as Georja, Helen & Corey Broadhurst have taken over and plan to re-open after a few days of refurbishment. The café has been renamed Maws Vintage Tearoom and will have a brand new look! We wish Gabrielle and the Broadhurst Family much success in their endeavours. New studio The Yarn Boutique opened its doors at Unit D4 yesterday. 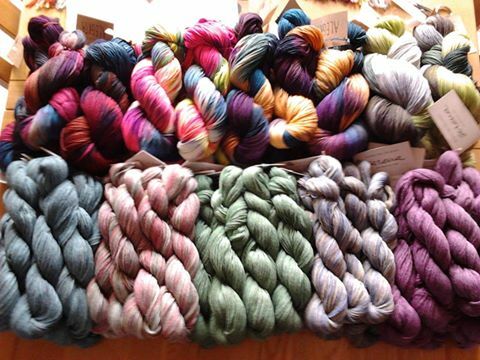 Proprietor Tina McAra sells beautiful luxurious knitting yarns sourced from around the world. She also offers knitwear, accessories, demos and workshops. Another new shop opened at Maws in March and has just unveiled its fabulous hand-painted shop sign. Pink Moon Creations sell their own hand-made soaps and bath bombs plus vintage items, art & crafts and jewellery. Unfortunately we have some very sad news this month and report the passing of Steve Warrington. His garden model railway business "Back 2 Bay " was located at Unit C17. Steve had been a resident at Unit B26 for a number of years and had only just come back to Maws last May. He was a great chap to have around - always cheerful, eager to lend a helping hand and willing to get involved in events and other promotional activities. Whilst resident at B26 he was Chair of our business network Creative Heritage @ Maws and when the secretary moved away and nobody was able or willing to take over he assumed the sec duties as well. His shop was a veritable Aladdin's cave of locomotives, train carriages and accessories and interesting to visit. His funeral took place on 28 January in Lincoln. 366hearts' heart for that day is shown again here. We lost Steve far too soon - he will be sorely missed. 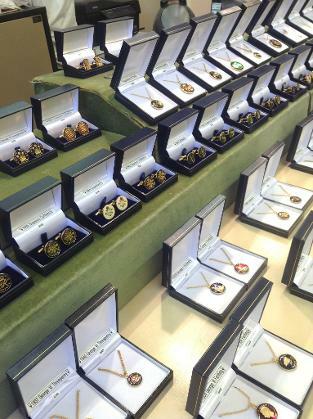 15 years ago today Paul Hornby trading as Coin Creations opened his studio at Maws. 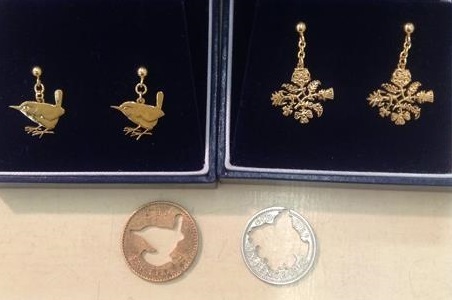 The designs of coins are either cut out or enamelled to produce beautiful jewellery. These are very popular and make beautiful gifts. 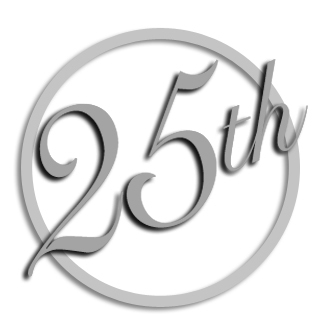 Congratulations to Paul - here's to many more years of success! She believed she could and today she completed her project!! 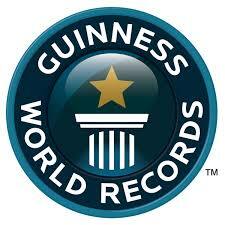 Well done, Hazel, a fantastic achievement. Many congratulations! 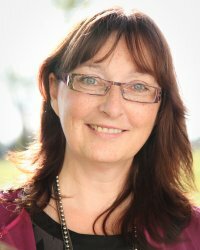 Hazel McNab of 366hearts was interviewed about her new book yesterday on BBC Radio Shropshire (on the afternoon show about 4.45pm). 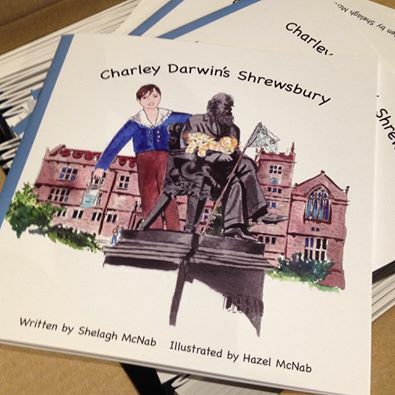 Sisters Hazel and Shelagh McNab produced an illustrated children’s book about Charles Darwin’s early life in Shrewsbury. The book launch, at Shrewsbury Museum on Wednesday 29th October from 11 till 3, is part of the BIG DRAW event. All children are welcome to come and take part. Hazel will also do a book signing on 31 October at Maws Craft Centre just before the Children's Halloween party which starts at 4pm. 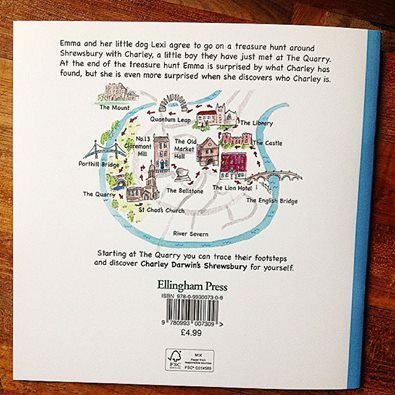 We're hoping that little Lexi, the dog who features in the book, will be in attendance. The book can be bought at Shrewsbury Museum, Waterstones and W H Smiths as well as many independent bookshops in the county or online post-free from www.ellinghampress.co.uk and on Amazon. 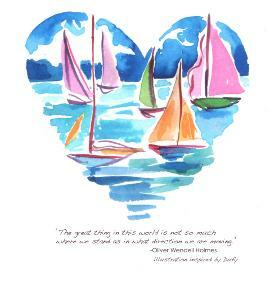 Our own resident artist, the very talented Hazel McNab of 366hearts, is now a published illustrator! Published today, the new book features Charles Darwin as a boy with text by Shelagh McNab and images by Hazel. Lexi, the dog, also makes an appearance! Since part of Salthouse Road disappeared in a landslip in 1984 (if the memory serves right) the only way to Maws by car has been on the "temporary" road that was put in all those years ago. Some people referred it as the "wibbly-wobbly road" or roller coaster ride (some other names for it are not fit to publish on this platform). As part of the Jackfield Stabilisation Project the lovely people from contractors McPhillips put in a new temporary road which opened just after lunch today. It's much flatter and wider and a lot less wibbly-wobbly than the old temporary - a big improvement! Many thanks, it's much appreciated !! The new permanent road will be constructed next year. For more information on the Project please follow this Link or come and see the information board at Maws loacted in the entrance to Scarlett's Café. Today Maws Chairman Peter and MD Sabine took part in Bart's Bash at Chelmarsh Sailing Club with their RS 500 dinghy. 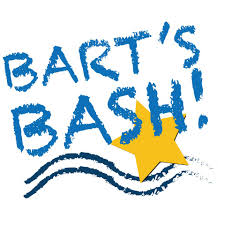 Bart's Bash is a Guinness World Record attempt, the biggest sailboat race in the world, in memory of British Olympic sailor Andrew (Bart) Simpson, who tragically died while practising for the Americas Cup sailing race in San Francisco last year. 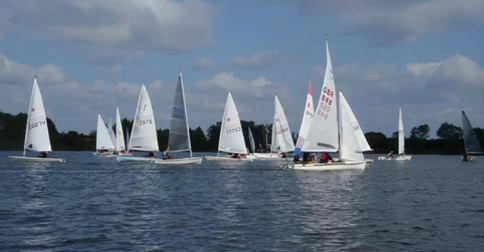 37 Chelmarsh Members entered the Bart's Bash race in 10 different classes of boat. So that slow, medium and fast boats can all race together each boat is given a special handicap rating and this information enables the organisers to compare the 15,000+ entrants in races held at over 600 sailing clubs all over the world to be racing against each other. Chelmarsh results have been submitted online to be compared with the returns from every other club across the globe. The actual winner of the race will not be known until the organisers have received all the results, when they will make that announcement, which is expected sometime in October. 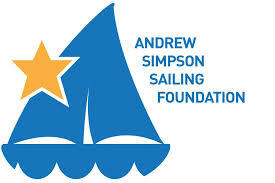 The Andrew Simpson Sailing Foundation, a charity to encourage young people to become involved in the sport, has been launched and the event also served as a fund raiser. Many Chelmarsh members donated online and also an on the day collection which raised £245 cash for that cause. Despite the more or less constant rain lots of people came to the Festival - a big thank you to all of you who came to the festival today and ignored the weather. Many thanks to Lisa & Anne Marie and their teams for putting on a great event! 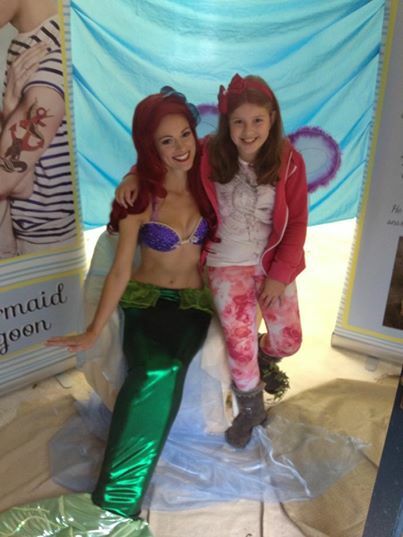 As there was enough rain water for the mermaid to float away on, it only seems apt to show a picture of her with a faerie here - more pictures on Fable Progression Events' FaceBook page. Our annual and ever popular Glen Miller open air concert and 1940's evening took place last night and was attended by a record number of visitors. Good music by the band “Moonlight Serenade”, dance, the entertaining bottle auction, a ration book raffle plus food & drink made for a thoroughly enjoyable mix. Money was raised for Cancer Research and League of Friends for Bridgnorth Hospital. 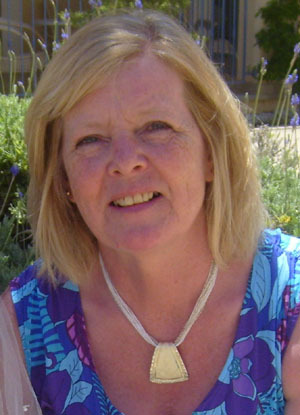 Many thanks to event organiser Lynn and her hardworking team of volunteers for putting on yet another successful event! Last night's Magical Curry Night at Scarlett's proved to be a most enjoyable evening. A cooking demonstration by Lajina of Masala Magic was followed by a scrumptious meal prepared by her for the event. For those who still had room there was dessert of delicious cake and ice cream provided by Scarlett's. Guests were able to take home a Masala Magic spice pot. The evening had been organised by Caroline Rolling of The Gorge Therapy Centre in aid of the charity Healing Hands Network - helping veterans and their families in the UK and victims of war in Bosnia. Caroline is volunteering in Bosnia this summer where she will provide therapy for people still living with the physical and psychological effects of their experiences in the 1992-95 war. She has to raise at least £800 toward the Charities costs. As well as their work in Bosnia, Healing Hands Network also provide therapies to Veterans living with PTSD and their families in the UK. A big thank you to Lajina for the tasty food, Caroline for arranging the event and to Gabby & Russell at Scarlett's for being such welcoming hosts. It has been an amazing year for therapists Angela, Caroline and Diane. As well as the wide range of therapies they each provide, during the past twelve months ...they have added to their list of classes and workshops and last September they qualified as Laughter Yoga Leaders – a fun therapy which takes them all across the county. This month Kindled Spirit moved from Unit D4 to a larger studio at No C19 in the centre of the courtyard. Proprietor Lisa has now more room for her extensive range of magical and mythical items. Please come and browse amongst the faerie doors, pixie boots, dragons and unicorns -there are lots of lovely gifts and cards! Lisa specializes in encaustic art and undertakes commissions. She also provides tarot card readings. 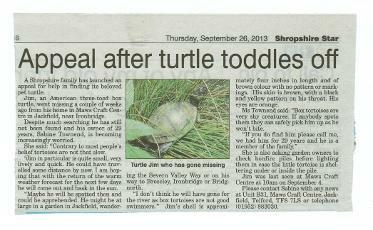 Jim went missing last September and was featured in the Shropshire Star to help the search for him. Today the Star covered the good news of him being found and Jim made the front page! He seems none the worse for his adventure. We have been asked whether we are sure that it is him - he's been living with us for 29 years so we have got to know him very well and it's definitely him!Since his return Jim's been busy tucking into lunch comprising slugs and banana and strawberry for pudding and becoming acquainted with Nero, the cat. Former resident Steve Warrington has returned to Maws Craft Centre with his shop "Back 2 Bay 6". Steve sells garden and model railways and accessories and used to reside at B26. He is now based in Unit C17 and officially opened his shop on Tuesday. One of Maws Craft Centre's slug control executives, box tortoise Jim, went AWOL over eight months ago. He was found on Monday evening by Maws chairman Peter and presented to MD Sabine who checked him over and pronounced him fit and healthy. Nobody knows where he went for all that time but he seems to have survived his adventure very well. Sabine sends her thanks to everybody who helped with looking for him and spread the word. 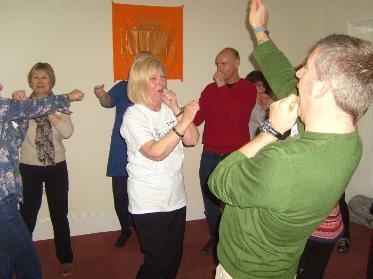 Laughter Yoga Therapy Club is held on the first Monday and Wednesday of every month. This amazing therapy is not only fun but the health benefits are amazing. Visit the Gorge Therapy Centre facebook page for more info. Richard and Penny Childs have relocated from Oban in Scotland and are opening the doors to their new gallery at Unit C14 for the first time today. Their respective businesses are sharing the premises - Richard's landscape photographs adorn the walls and Penny's enterprise "Fussy Cow" occupies shelf space with hand crafted jewellery and gifts. Change-over at The COURTYARD TEA ROOM at Maws this weekend! Sadly it was proprietor Mick Ruggles' last day on Friday. He's moving away from the Gorge and had to make the difficult decision to leave the tearoom. However, Gabrielle Turner has taken over and her establishment named Scarlett's Café is open from today. We wish Mick all the best in his new home and Gabby much success in her new venture. Hope House Children's Hospices was our nominated charity this festive season. Fundraising done at the Winter Fayre, the Integris Property Solutions opening event and the December Advent Calendar Trail in the courtyard raised a total of £331.21. This morning we had a presentation of the money raised. The photo shows John Kenny, MD Integris Property Solutions and Sabine Townend MD Maws Craft Centre (Jackfield) Ltd presenting the cash to Sarah Johnson, Area Fundraiser for Hope House Children's Hospice, (centre). All pictured in front of Integris Property Solutions' own TARDIS. Integris Inventories has changed its name to Integris Property Solutions in order to more accurately reflect the activities of the business. The organisation has always provided much more than just inventories and felt that the new name better described its services. Yesterday the new office at Maws was officially opened. Peter Nixon from Hope House cut the ribbon, a raffle for a vintage teddy bear provided by Merrythought and photos in front of the Tardis raised a further £110 raised for Hope House Children's Hospice. This evening we had a reception in our office to celebrate the 25th anniversary of the Maws Craft Centre (Jackfield) Ltd. The company was incorporated in April 1988 but today is another significant date: on November 7th 1988 we had the handing the key over ceremony and official opening of the craft centre so it seemed fitting to commemorate that day 25 years later. We had invited shareholders, residents, suppliers, friends and neighbours. Approximately 100 guests attended and partook of champagne, wines and beer and there was a selection of alcohol free drinks, too. Jamie Yardley and his team from https://www.facebook.com/pages/Silver-Service-Catering/240503846013367 served freshly prepared canapés which were absolutely gorgeous. Thank you to Jamie & team for the wonderful catering and to all our guests for coming! A spooktacular evening last night at our Halloween party: ghosts, ghouls, zombies and other living dead roamed the courtyard for the ghost hunt. There were also plenty of witches, devils, grim reapers, monsters and vampires plus Count Dracula himself newly arrived from Transylvania. Kids enjoyed getting messy with the gunge tanks, bran tubs and apple bobbing - so much so that the attending witches ran out of wipes! 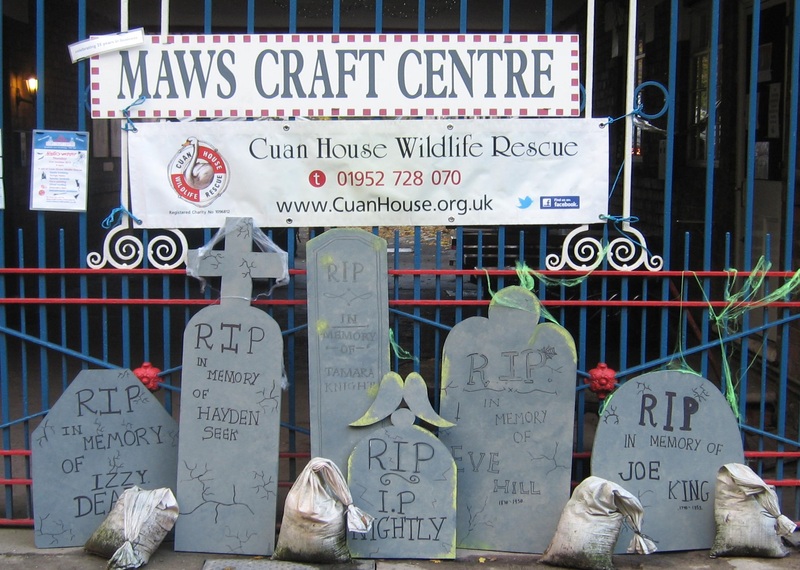 The spooky tombola in aid of Cuan Wildlife Rescue offered many prizes including pumpkins grown by young farmer Henry Stanhope, skeletons, batwings, gruesome body parts and such like. 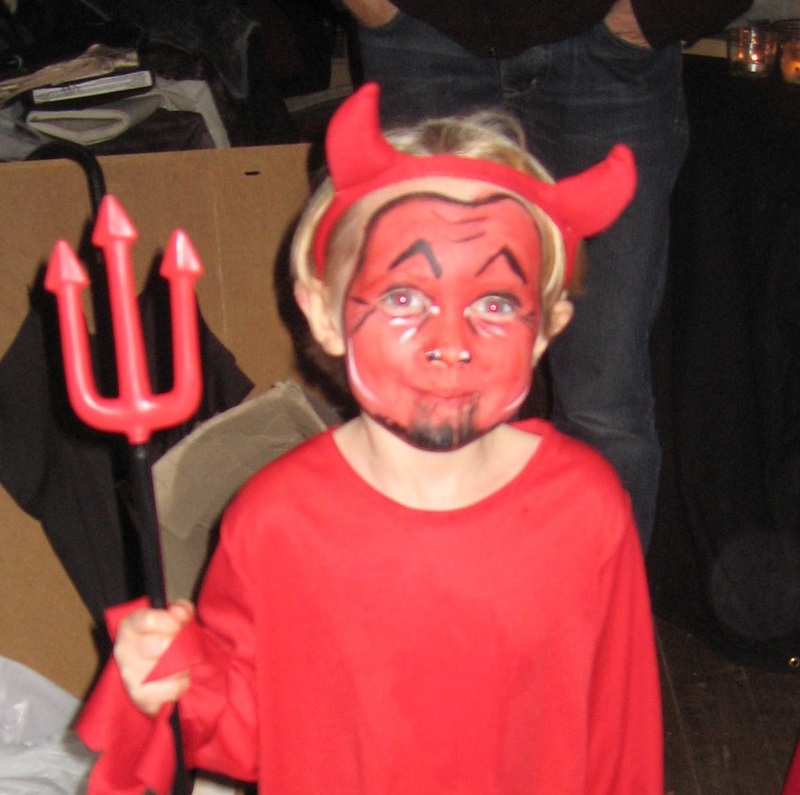 Our fabulous face painter did a great job and was busy all evening. The Courtyard Tea Room had a yucky menu for the occasion with blood burgers, pumpkin soup and witches brews. Scary sound effects and music coupled with laser lights were kindly provided by John of The Travellers Barbershop Quartet https://www.facebook.com/pages/The-Travellers-Barbershop-Quartet/1381591105390239. 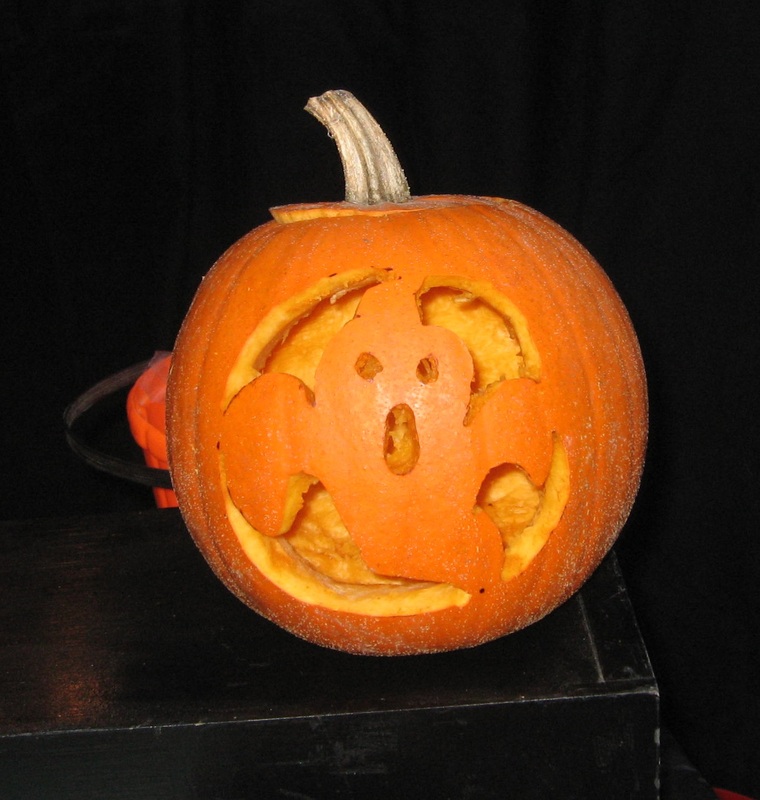 A massive 27.4 kg pumpkin featured in the "Guess the Weight of the Pumpkin" competition and raised further monies for Cuan. Young Millie came closest with her guess of 28 kg and was declared the worthy winner. By the way, a lot of dads got very technical about the competition, lifting their children and then the pumpkin to gauge the weight but none of them could match the accuracy of Millie's guess - sorry dads and well done Millie! 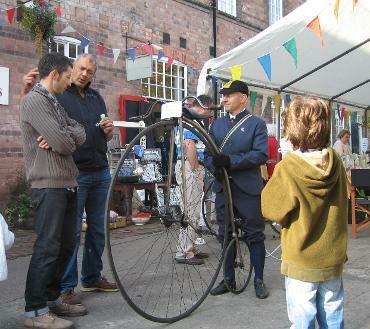 Maws' contribution to the Ironbridge Gorge World Heritage Site Festival took place on Saturday. Bathed in sunshine the courtyard was brimming with classic cars, lorries, steam engines and antique bikes for the Vintage Transport element and lots of craft demonstrators for the Traditional Crafts part of the day. We also had various fund raising activities for the Midland Air Ambulance: a "water & wine" tombola, Maws tile trail and table top sale. Food & drink stalls included delicious Indian cuisine, traditional sweets, roast pork & apple rolls and gluten free cakes. Entertainment was provided by the "Lady Wulfrun" fairground organ and the "Travellers Barber Shop Quartet". 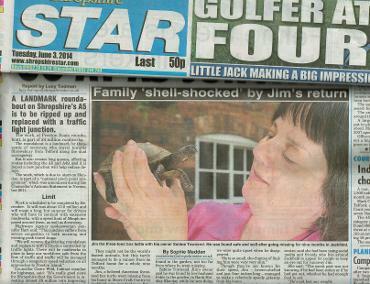 Maws' MD Sabine's pet tortoise Jim went AWOL a couple of weeks ago and has still not been found. The Shropshire Star kindly ran a piece on him to help with Sabine's efforts to locate him. Jim's also appeared on Facebook and Twitter. If you spot him please pick him up and return him to Sabine at the Maws Company Office, Unit B31 or call her on 01952 883030. Our popular Glen Miller Open Air concert on Saturday night went superbly well. We had a brilliant evening, much aided by the Mediterranean weather, and the atmosphere was fantastic. Lisa & her students from the Lianna School of Dance started the evening off with a tap dance demo, the band “Moonlight Serenade” was as good as ever, the bar was expertly run by Kevin and Mick & his team at the Courtyard Tea Room did us proud with a tasty 1940’s inspired menu of Corned Beef Hash, Bubble & Squeak and Bread Pudding - thank you all so much for everything! Our thanks also go to event organiser Lynn and her tireless volunteers, the two Petes for doing the electrics, Tony & Helen at Shading By Design Ltd for providing the giant parasol, Jim at the All Nations pub for supporting the bar, to Joan & Joan at the “box office”, our MC Mark and impromptu announcer Gareth for being very entertaining, Sandra & Ann for sorting out the Ration Book raffle in aid of Marie Curie Cancer Care, to auctioneer Alistair & his assistants for coping with the frenzy that was the bottle auction for Help 4 Heroes, to Richard for taking photos, to the Creative Heritage @ Maws crew for the background work, Maws and Jackfield residents for being so supportive, and of course the audience for coming and making the event so successful. The bottle auction raised £ 165 for Help 4 Heroes and the raffle £ 171 for Marie Curie Cancer Care. The Gorge Therapy & Training Centre have moved from Unit D11 to much larger premises at Unit D8-10 which is next door. Angela & Diane have been joined by two more therapists, Rosie and Caroline. 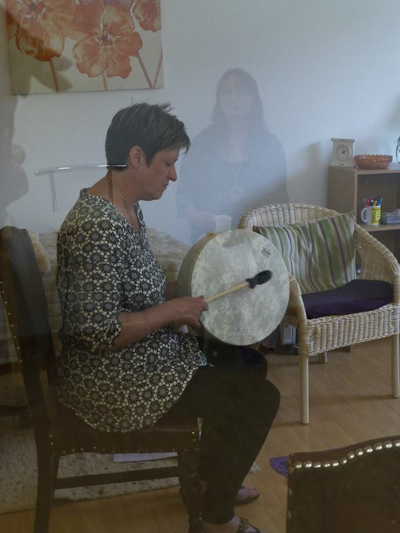 Between them they are able to offer a wider range of therapies, classes and workshops. Their new centre comprises two large therapy rooms plus a training room. Our Busking Blues Afternoon went really well today. The weather did not co-operate but we had a good atmosphere in the courtyard and fantastic music with Kentucky Holly, Tam Caddick , James Ruggles and the Jackhammer Blues Band. Mick and his team at the Courtyard Tea Room served an American and British mix of food and drink with Southern USA style chicken, real ale and cider and Mississippi Mud Pie and Pecan Pie for dessert. We had some good feedback from the audience so we are already thinking about dates for another event. Please check our Facebook page or the events page on this website for updates. The Maws Easter event was well attended today . 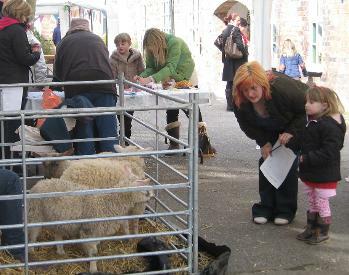 Families met the owls, lambs and Matilda, the cat and had fun with the Easter trail and other competitions. The weather behaved itself - still cold but at least sunny and no snow! Maws Craft Centre has come 4th in a survey of the top 10 places in the Ironbridge Gorge just behind The Iron Bridge & Tollhouse, Blists Hill Victorian Town and Jackfield Tile Museum! Please see http://www.top10ten.co.uk/midlands/ironbridge-gorge.html for more information. Having completed her project of painting a heart a day for a year from Valentine's Day to Valentine's Day Hazel McNab has set herself a new challenge to complete 1000 hearts. 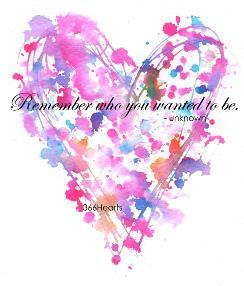 Please see http://inspiringhearts365.wordpress.com/. Our resident designer Hazel McNab at Unit C16 has an exhibition at The Bear Steps Gallery in Shrewsbury which opens today. The exhibition features Hazel's beautiful heart designs in water colour - starting on Valentine's Day in 2012 Hazel has painted a heart every day and posted it on http://inspiringhearts365.wordpress.com/. The exhibiton runs from 11 to 23 February and is open from 10 to 4 pm every day. The Bear Steps Gallery is located at St Alkmund's Place, Shrewsbury SY1 1UH. In their craft shop at Unit C23 Janet & Sandra sell small knitted toys produced by local knitters in aid of Cuan House Wildlife Rescue. The 2012 amount has just been confirmed - they raised a total of £ 417.75 which is amazing as most toys are only a £1. Even better news is that this figure is an increase from 2011 which totalled £ 379.30. 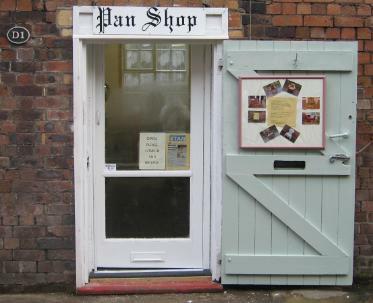 Pan Shop Antiques have moved across the courtyard to larger premises at Unit D1 and the workshop and showroom are now open. Proprietor Andy Reed has more room to showcase his upholstery skills and display fabrics, furniture and antiques as well as a striking new range of wall papers. Andy's is also planning to introduce curtain fabrics to his collection. Telford & Wrekin’s Ironbridge Gorge has beaten off stiff competition to be the 2012 most highly recommended UNESCO World Heritage Site in the UK according to the TripAdvisor® traveller community. It also takes second place in the world behind the Historic Ensemble of the Potala Palace, Lhasa, China and ahead of the Egyptian Pyramids and India’s Taj Mahal. The Courtyard Tearoom now offers free Wi-Fi. 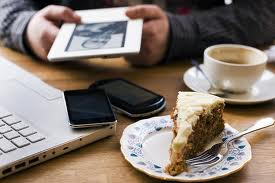 Enjoy tea or coffee, light lunches, cakes or afternoon tea and connect to the internet. Just ask Proprietor Mick for the tearoom's log-on details. The theme for yesterday's winter event was Music, Food and Drink, allowing families to visit together and help celebrate the start of the festive activities. Amongst all the rain over the last few weeks/months we had a dry day - we were so lucky! The new Christmas lights were switched on followed by entertainment by members of Jackfield Elcock Reisen Brass Band, Jackfield Church singers, ballet students from resident Lianna School of Dance and story telling for kids. Altogether the activities, a tombola, and market stalls raised over £ 250 for the Air Ambulance. Our thanks go to Janet and Sandra and their team of helpers for coordinating the event. <?<p>On the Saturday 6th October 2012, there will be an opening event for the newly taken over tea room at Maws. The tearoom has been re-launched as the Courtyard Tea Room where the new proprietor Mick Ruggles will be bringing some of the local history to the tearoom as well as some traditional tearoom meals over the coming weeks. Cream Teas and the traditional afternoon teas are being put on the menu to add a special Victorian feeling with some relaxing classical music. The tea room also will increase its gallery and craft selection to provide plenty of interest to visitors. On Saturday, there will be some light snacks available and drinks with Mick’s son James Ruggles playing the guitar in the tea room from 12pm till 3pm. So please come and support the opening of the tearoom. Our popular Heritage Event took place this weekend just gone and was part of the Ironbridge Gorge World Heritage Site Festival week. Saturday was “Transport Day” and featured mini steam engines with rides around the courtyuard, static steam engines, vintage & classic cars (including the "Austin Powers" Jaguar in full Union Flag livery) and bicycles ( including a penny farthing). Entertainment and more colour was added by "Lady Wulfrun" fairground organ and the Town Crier. Jackfield's local historian Ron Miles gave talks and slide shows and also exhibited his Olympic torch and London 2012 gear. Sunday 30 September was “Demo Day” with lots of exhibitors demonstrating traditional crafts including lace making, rag rug making, crocheting /knitting, quilting, wood whittling, cross stitch embroidery / tapestry, wood carving, soap making, jewellery, pottery, clay-pipe making, blacksmithing and willow art. Also showing on both days were miniature railway engines and rolling stock, books and photos of local area and Maws tiles and Coalport china. Many thanks to Sandra and her team of volunteers for organising the event! Welcome to our new look website and we hope that you will visit us regularly to find out what’s going on at Maws. As Maws Craft Centre are home to over 30 small businesses it was important to us that our new website was designed by someone LOCAL and preferably a small business themselves. 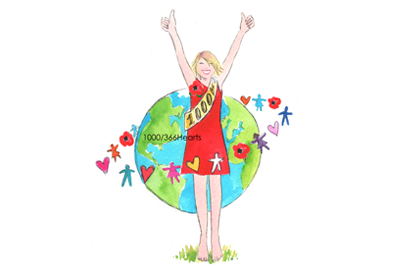 We were very lucky when Sonia Bird agreed to design our website for us. Not only does Sonia only live a few hundred yards from the centre but she is a regular visitor too and is also passionate about supporting local businesses. We are absolutely thrilled with our new look website and hope you are too. It just goes to show that most of what we need is right here on our doorstep. Enjoy browsing through our website and we welcome you to the centre any time to support our small businesses here on site. A big thank you to Sonia for all her hard work and for enabling us to KEEP IT LOCAL! 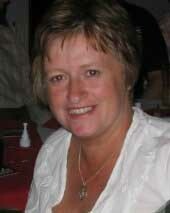 Sonia can be contacted by email at info@soniabird.co.uk or her contact number is 07973 466243.